Israel’s occupation forces have killed a fourth young man in the span of two days in the occupied West Bank. 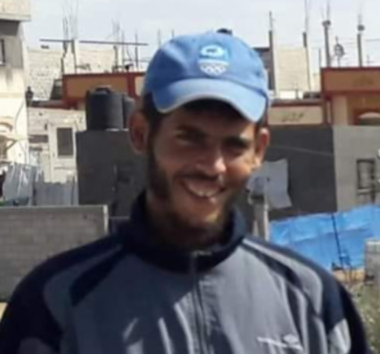 Ahmad Jamal Mahmoud Manasra, aged 22 or 26, was killed by Israel’s occupation forces at a checkpoint at the entrance to the town of al-Khader – situated near the city of Bethlehem on the occupied West Bank – on the evening of Wednesday March 20th. 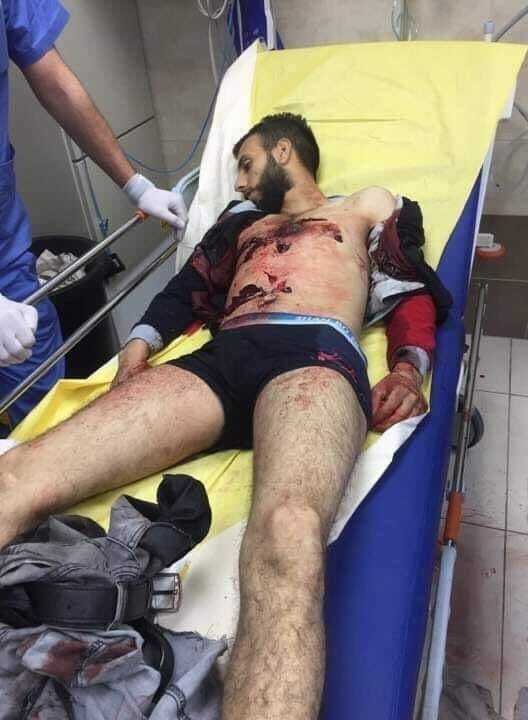 Manasra was shot in arm, chest and shoulder in the incident, which started as Israeli occupation soldiers opened fire at a car driving before his own vehicle. The male driver of that car was hit in his abdomen and was seriously wounded; Manasra is claimed to have stopped to help him. When Manasra was running back to his own car to move it from the road he was shot several times by occupation soldiers and died on the scene according to a Palestinian source. 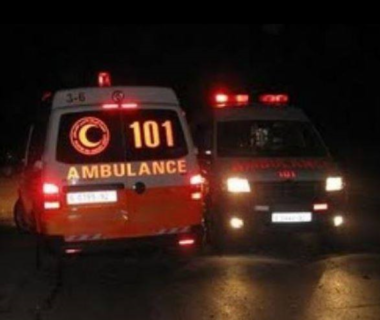 His body was recovered by Palestinian first responders and taken to hospital in near by Beit Jala. Either Manasra or the man who was seriously wounded had his wife and children in a car with them; exactly which of them it was is unclear in sources. Israeli soldiers injured, on Saturday evening, several Palestinians, including one who suffered life-threatening wounds, during protests across the eastern parts of the besieged and improvised Gaza Strip. Medical sources said the soldiers shot four Palestinians with live fire, east of Jabalia in northern Gaza Strip, and east of al-Boreij, in central Gaza, and added that one of the wounded Palestinians suffered life-threatening wounds. They also said that several Palestinians suffered the severe effects of teargas inhalation, east of Rafah, in southern Gaza strip, and received the needed medical attention. 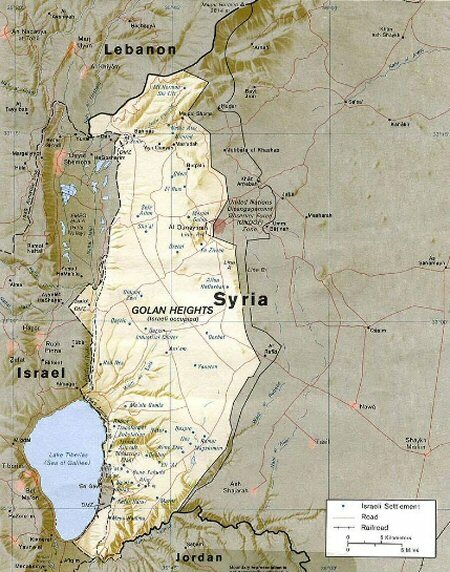 Also Saturday, The Israeli Airforce fired a missile at a motorcycle carrying three Palestinians, injuring all three. On Friday, Israeli forces killed two Palestinian civilians, identified as Nidal ‘Abdel Karim Ahmed Shatat, 29, and Jihad Munir Khaled Hararah, 24, and wounded more than 180 during protests at the Gaza-Israel border. Also on Friday, Israeli navy ships fired live rounds at Palestinian fishing boats off the Gaza Coast, wounding three fishermen. The Palestinian Health Ministry in the besieged Gaza Strip has reported, on Sunday at dawn, that a young man died from serious wounds he suffered, on Saturday at night, after Israeli soldiers shot him in the northern part of the coastal region. Dr. Ashraf al-Qedra, the spokesperson of the Health Ministry in Gaza, has reported that the Palestinian has been identified as Habeeb al-Masri, 24. He added that the Palestinian was shot during a protest near the perimeter fence, east of Beit Hanoun in the northern part of the Gaza Strip, after the soldiers targeted many protesters with live fire, rubber-coated steel bullets and high-velocity gas bombs. 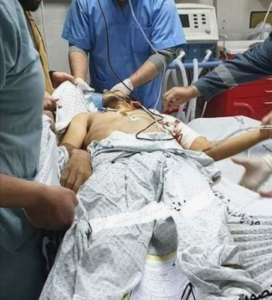 The Palestinian suffered a very serious injury after a soldier shot him with a live round in the chest, and was rushed to the Indonesian Hospital, in Jabalia, before he was moved to the Shifa Medical Center in Gaza city, due to the seriousness of his wounds. Dr. al-Qedra said that, despite all efforts to save his life, the Palestinian succumbed to his wounds at dawn, Sunday. The soldiers also injured at least two other Palestinians with live fire and caused many to suffer the effects of teargas inhalation. Also at dawn, Israeli army drones fired missiles into several areas, east of Rafah, in southern Gaza, and east of the al-Boreij refugee camp, in central Gaza, causing damage. The army claimed that the sirens were sounded in the Eshkol Regional Council of Settlements and added that some protesters flew flammable balloons which apparently exploded even before flying over the perimeter fence. Days Of Palestine [ Hebron ] – On Saturday evening, a horde of Jewish settlers physically and verbally attacked a Palestinian woman and her son in Tel Rumeida neighborhood near the Ibrahimi Mosque in the Old City of Hebron. Days Of Palestine [ Report ] – It was a roasting July afternoon and the reverberations of bombs were so continuous her body seemed like it was vibrating in time with them. There was no time to consider whether to don her hijab, what belongings to gather together or even where to seek refuge. Amal blindly followed her neighbours jamming the streets of al-Shujaiea – pushing and shoving in their effort to flee, even without knowing exactly where they would go. That was 2014, during the Israeli military’s last major assault on Gaza. But more than four years later, 46-year-old Amal still suffers fits in which she coughs and compulsively spits; trying to replace the habit with gum-chewing didn’t work. It was a behaviour pattern that was particularly troublesome when Amal was trying to socialise. Despite repeated trips to ear, nose and throat specialists, relief was elusive, and her throat felt raw. International attention shifts away when a war ends, but its victims live with the consequences – both the visible and invisible – for years after. There are many other Amals in Gaza, still suffering from past Israeli aggressions. The World Health Organization estimates that, following the violence in 2014, 20 percent of Gaza’s population developed mental health problems. However, as the burden becomes harder to deny, more Gazans gradually are seeking treatment. According to the Al-Mezan Center for Human Rights, the number of patients referred to the Strip’s sole psychiatric hospital has risen 21 percent since 2016. Likewise, the number of individuals visiting clinics with mental or emotional disturbances rose by 69 percent in the same period. Owaida works with the private Gaza Community Mental Health Programme, established in 1990, which has three branches across the Strip. It supplements the overstretched government system, including the one specialised mental health hospital established to serve the entire Gaza Strip – home to two millions residents. In addition to violence, daily and constant humiliation and objectification are equally toxic over time – for individuals, but also for a society as a whole. “Just as individual trauma harms the brain tissue of a person, collective trauma harms the integrity of the social fabric – its capacity to foster connections, trust, norms, world views and moral conventions,” Jabr says. Owaida agrees, pointing to the Great Return March – weekly protests in Gaza that started a year ago on March 30. To date 256 protesters have been killed, and more than 28,000 have been wounded. Many of the martyred or maimed young people went perilously and deliberately close to the border with Israel – seeming to be fearless. There also are homegrown barriers to mental wellbeing. Cultural beliefs discourage many Palestinians from admitting to family members, friends or even themselves that that they need psychological help. This is particularly true for young women, who fear being labeled “mad” will discourage potential suitors from approaching them. Many Gazans instead seek help instead from a local sheikh, or religious scholar, who reads them Quranic verses or healing invocations called ruqya. Owaida dismisses such remedies as “wishful thinking”.